December 2018 As a Christmas present the municipal council confirms the property option for the assembly group that is supported by us. We are looking for the coming period! August 2018 We are looking for architects with work experience in all service phases of the HOAI and profound know-how in service Phase 5-7. 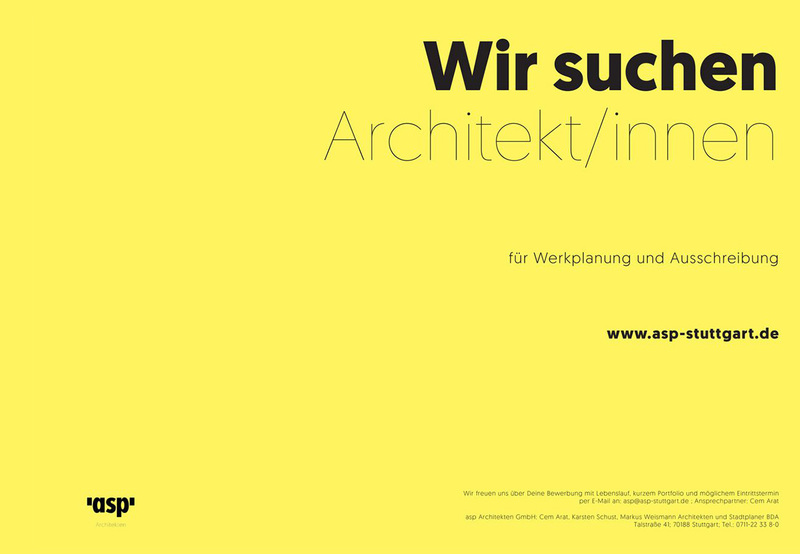 We look forward to receiving your application with CV, short portfolio and possible starting date by e-mail to: asp@asp-stuttgart.de; contact: Cem Arat. June 2018 We are looking for working students and interns to participate in projects and competitions in architecture and urban development. We look forward to receiving your application with CV, short portfolio and possible starting date by e-mail to: asp@asp-stuttgart.de; contact: Cem Arat. October 2018 We are happy about the third prize in the competition for the centre for social affairs, culture, education and sport on the Hubland in Würzburg. The concept was elaborated in collaboration with Koeber Landschaftsarchitekten,Stuttgart. October 2018 In summer 2017 our two offices merged, nevertheless they were listed separately in the Ranking of Competitionline in 2018. We are pleased about both the 18th place among the architecture offices and the 11th place among the urban planning offices. 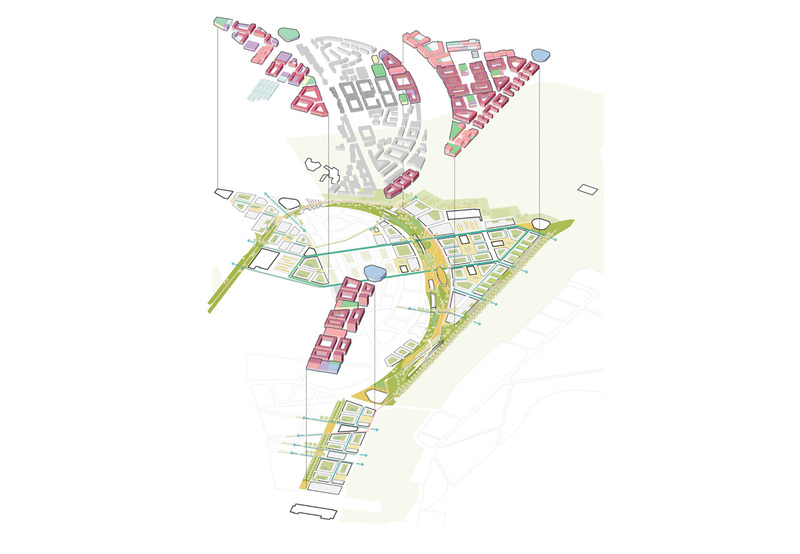 September 2018 The master plan process is proceeding at its fourth forum „DA2030+ ////Darmstadt weiterdenken“. In collaboration with Büro Labor für urbane Orte und Prozesse we are presenting our strategies and key urban spaces for clever urban growth.